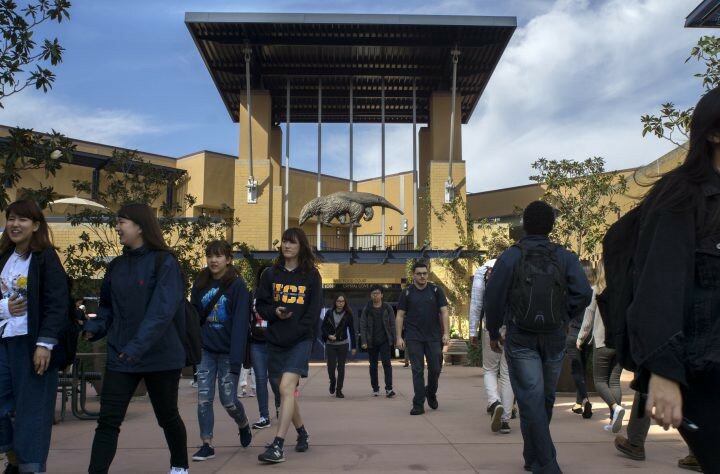 When it comes to getting the best value for your tuition dollar, UCI now ranks eighth in the nation, according to Forbes magazine. The new listing by Forbes ranks UCI in the company of Harvard University, Stanford University, UC Berkeley and other elite institutions. The Forbes 2017 Best Value College survey rated 300 schools on their ability to deliver “the best bang for the tuition buck based on tuition costs, school quality, post-grad earnings, student debt and graduation success.” UC Berkeley, UCLA and Princeton University led the list, with UCI hot on the heels of Harvard, the Massachusetts Institute of Technology and Stanford. The Forbes report is the latest in a series of rankings that place UCI in the top tier of national colleges. Last year, The New York Times’ College Access Index rated UCI No. 1 among U.S. universities that do the most for low-income students. And the Sierra Club’s Sierra magazine has named the campus a top 10 “Coolest School” seven years in a row for its innovative sustainability programs. A Google search of “is college worth it?” yields nearly 300 million hits. While that’s a pretty good time stamp of the current cynicism against the tidal wave of college costs — coupled with massive collective (nearly $1.4 trillion) and personal student debt ($37,172 for 2016 grads with loans) and the surge in post-high school alternatives such as coding camps and digital portfolios of marketable skills sets — it’s more abstract than actual. A college degree is still a near universal aspiration. Federal data reveals enrollment among 18 to 24-year-olds in four-year degree programs hit a high of 40%. In the case of parents, 94% say they expect their children to attend college, according to the Pew Research Center. For many students and their families, the price of a degree is as important a factor in deciding where to go as its quality. Knowing where you can get the most quality for each tuition dollar spent is the goal of this year’s Best Value ranking. University of California, Berkeley is the No. 1 Best Value College for the second year in a row, followed by UCLA and Princeton University. The top 10 include two more U.C. schools — U.C. Irvine (No. 8) and U.C. Davis (No. 9). University of Florida, the South’s only school in the top 10, comes in at No. 4. The super-elite schools make a strong showing, with Harvard University, MIT and Stanford University at Nos. 5, 6 and 7, respectively. Brigham Young University in Provo, UT, rounds out the top at No. 10.